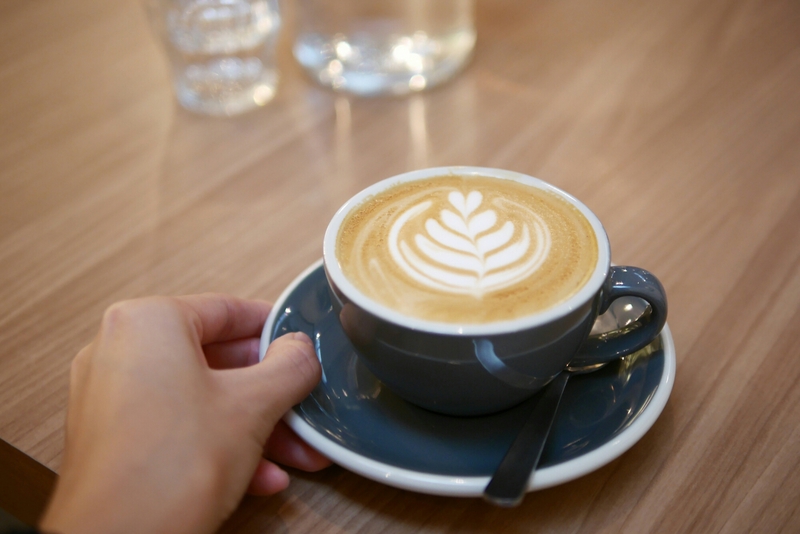 The last time (before this weekend) I visited Singapore was about three years ago and in this time, the hipster cafe trend has definitely caught on – I’d say they’re ahead of us in Hong Kong (See: Exploring Artisan Coffee Shops in Hong Kong). 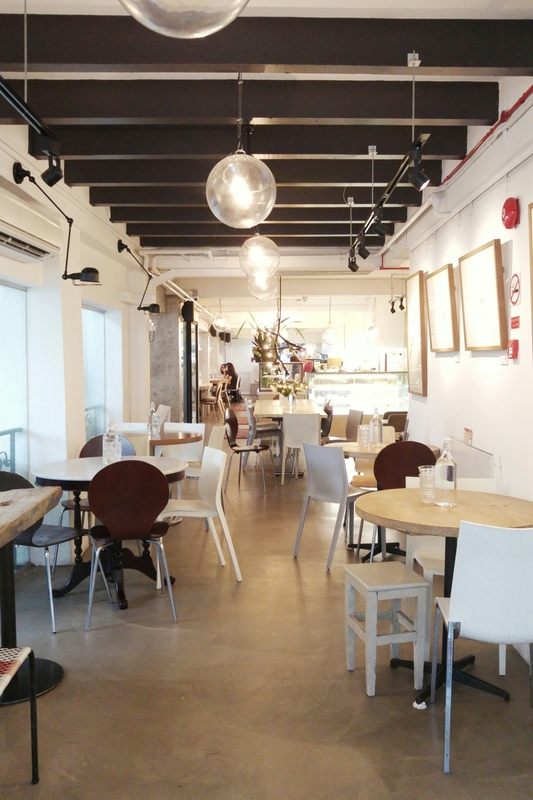 I was here for a dear friend’s wedding so my opportunities to explore were limited but Curious Palette stood out to be a clean and cute cafe; plus, it was conveniently located near Middle Road between Little India/Dhoby Ghaut. I was immediately in love with the interior when I stepped in. There was nothing revolutionary about the decor but the general vibe was stylishly simple and comfortable. The lighting was also very natural, which meant it was a perfect spot for a good catch up session and a bunch of flattering food photos. Since I recently made a batch of my own ricotta hotcakes, I was intrigued with how cafes do it and I was also craving some at the same time. It was still 10am, so I chose the maple syrup bacon with pumpkin as that sounded less dessert-like compared with the berries and ice cream option. It’s definitely not your typical hotcakes, since it was one gigantic hotcake which was almost 2 inches thick. It tasted moist but a bit too much like an actual buttery sponge cake rather than a pancake. The pumpkin sauces mixed with seeds was also a weird combination. I think having the berries with ice cream ricotta hotcakes for dessert would’ve been a way better decision. The scrambled eggs were quite truffly and very smooth. Then when I saw the table next to me order the seemingly perfect smoked salmon and poached eggs on toast, I definitely regretted not ordering the actual brunch options from their menu. They actually serve brunch til 6pm or something late like that too! Despite my not-so-excellent decision of getting dessert for breakfast, I was still happy to have come here because the coffee was 100% my cup of coffee. That must’ve been the most well balanced cup of flat white I’ve had – I liked the velvety creaminess, though it was leaning on the milky side. Nonetheless, the coffee taste was still very much present and struck the perfect balance between bitter and sour to me. 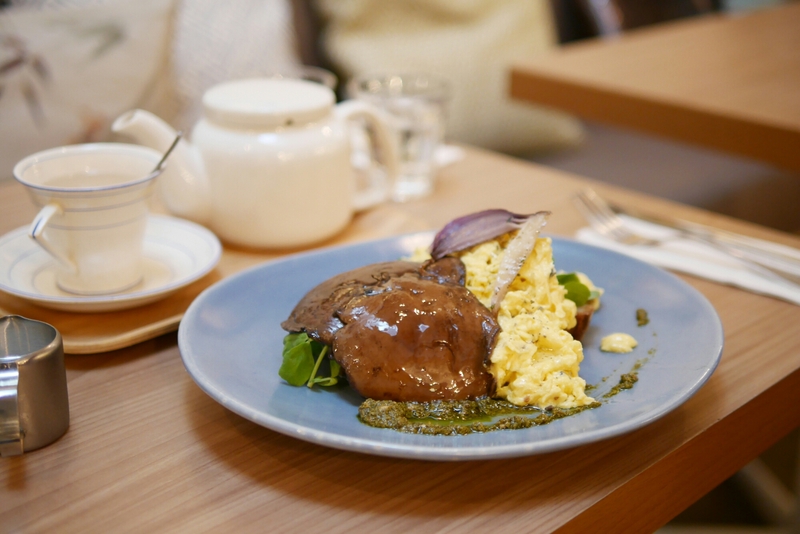 To a visiting Hong Kong-er, this was a good quality brunch spot with both delicious coffee and a pretty wide variety of appetizing food options. The cafe was also comfortable and laid back. 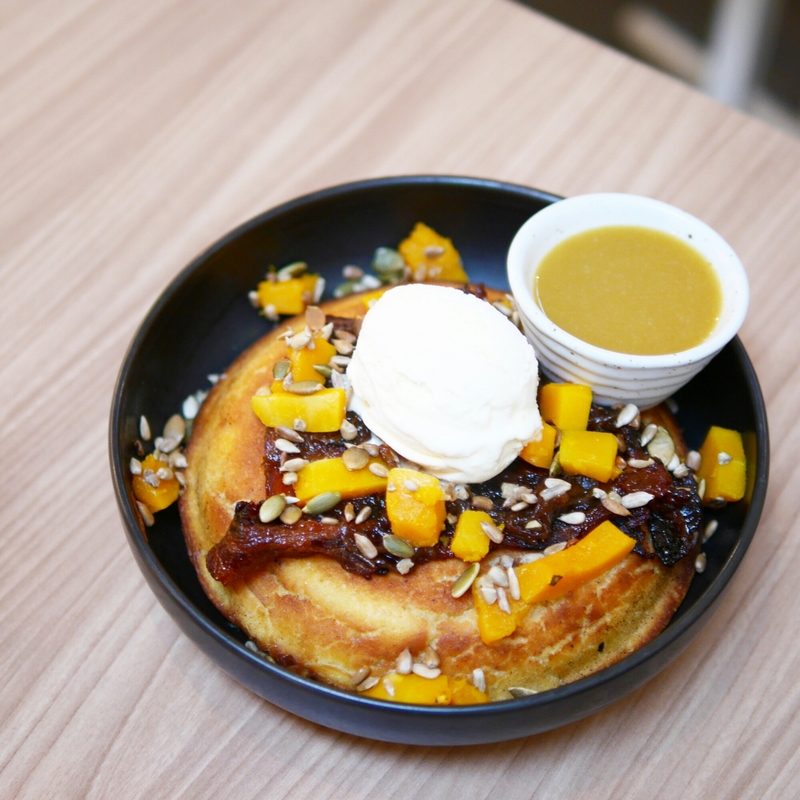 But since the brunch and coffee scene might be just a little more developed in Singapore than in Hong Kong, I wouldn’t be surprised if there were many more similar options. In fact, I had a small list of other great-looking brunch spots I didn’t manage to visit!